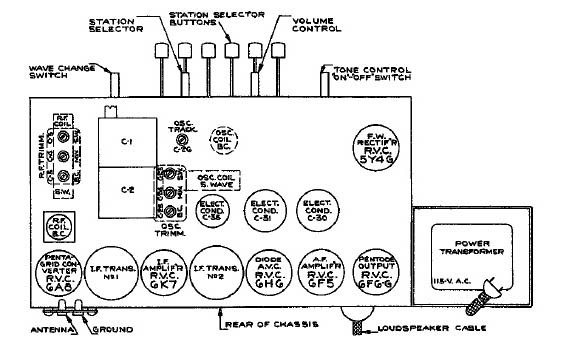 Type : 7 tube , AC operated superheterodyne receiver with 6 push button station selector and magic eye tube . Model 136 - 8 inch permanent magnet. Model 137 - 12 inch permanent magnet.